Heavy Duty picture hanging rail track. 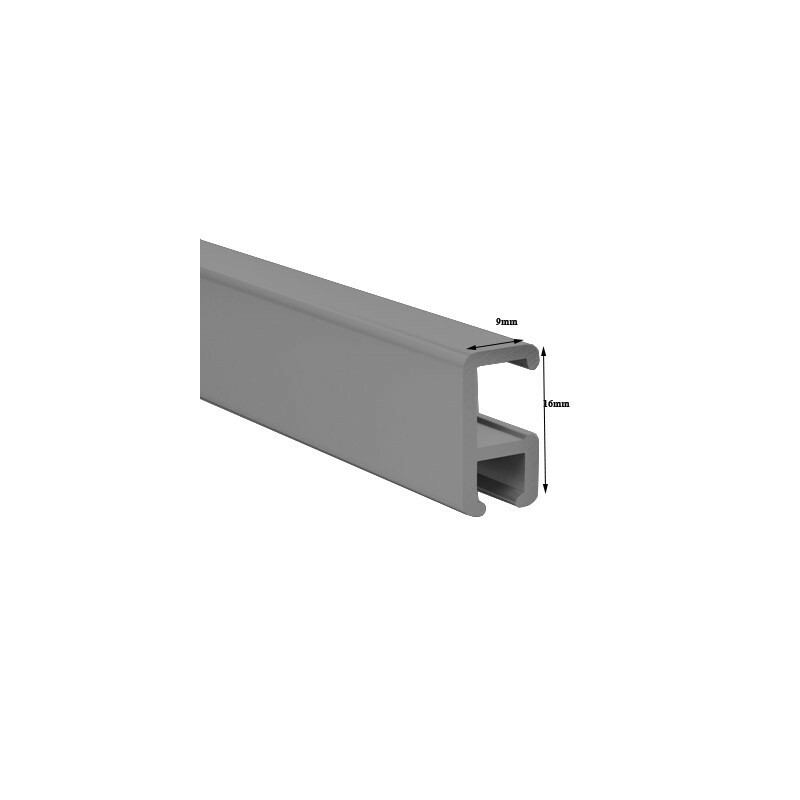 Clip-Rail Smart Heavy Duty with load capacity 25 KG per meter. Profile size 16 X 9 MM. 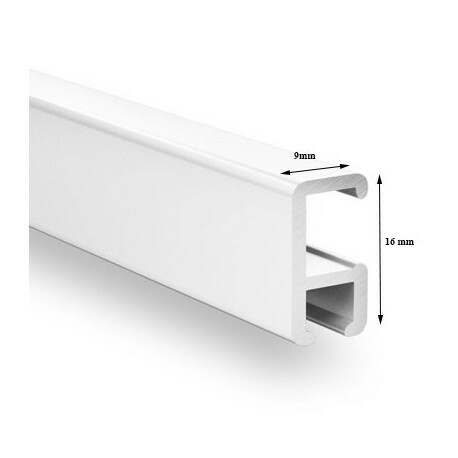 Clip-Rail Smart Heavy Duty available in 2 meters & 3 meters length & can be cut to size with a hacksaw. 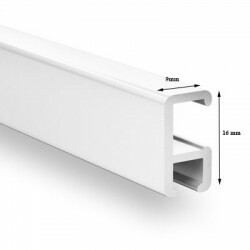 Stock Colours White Silver Black for Custom colour rails and fittings please CALL. On Clip-Rail Smart Heavy Duty you can take any size picture with a weight between 1 to 25 KG per meter. 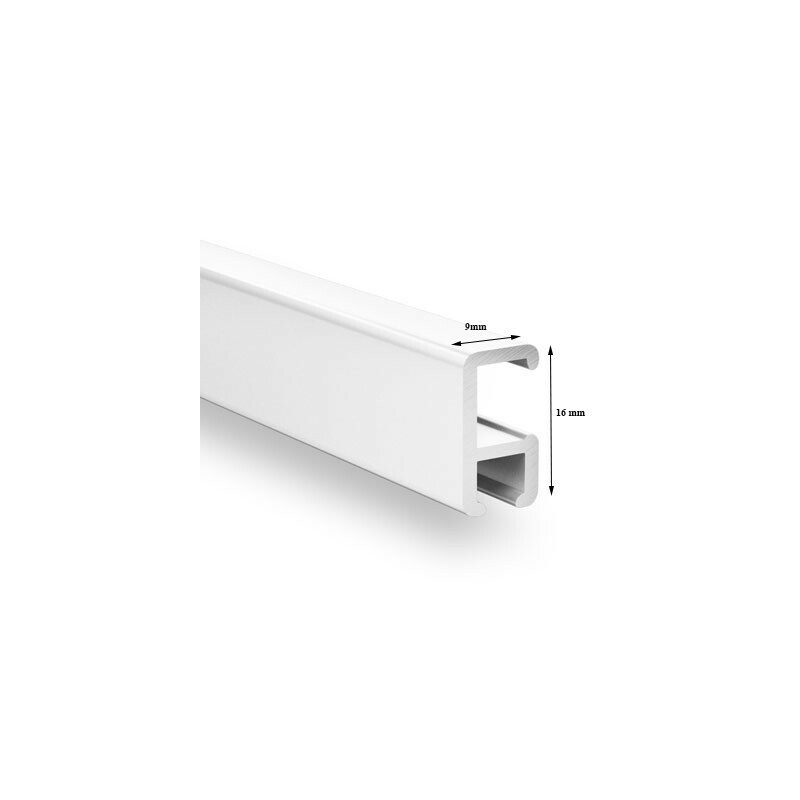 Heavy Duty Clip-Rail Smart Heavy Duty is the thinnest & most discreet picture hanging rail. 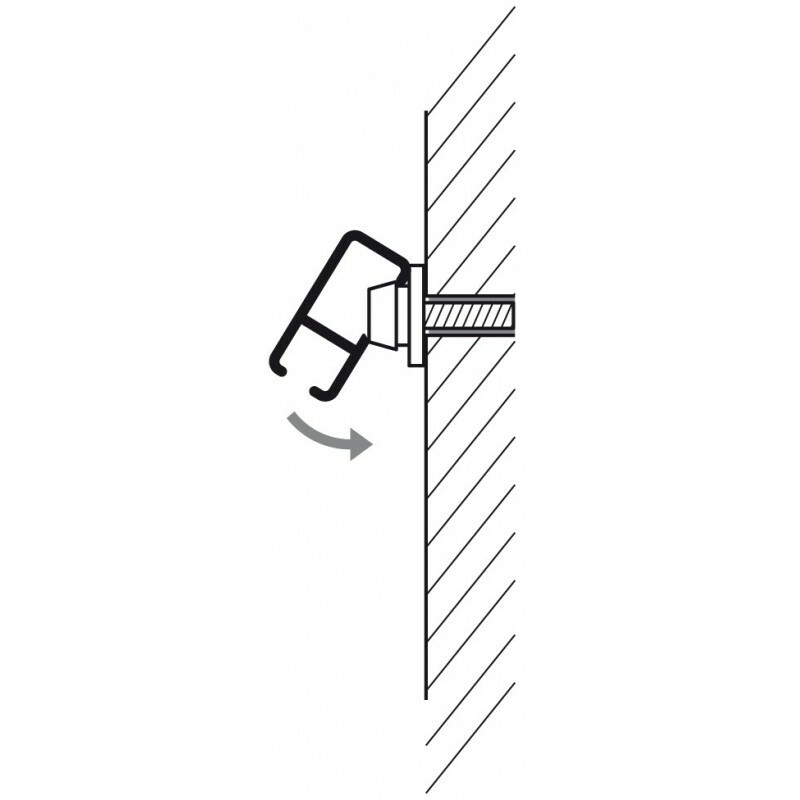 Cliprail smart heavy duty track is easy to install screw 3 mounting screws into the wall & clip up the rail on it. You can use cobra perlon, cobra steel, Disc Anchor perlon, barrel anchor steel cable, barrel anchor perlon to suspend cables from the track. Cobra you can be added & remove from any point of rail but Barrel Anchor /disc anchor you need to slide from one end of the rail. 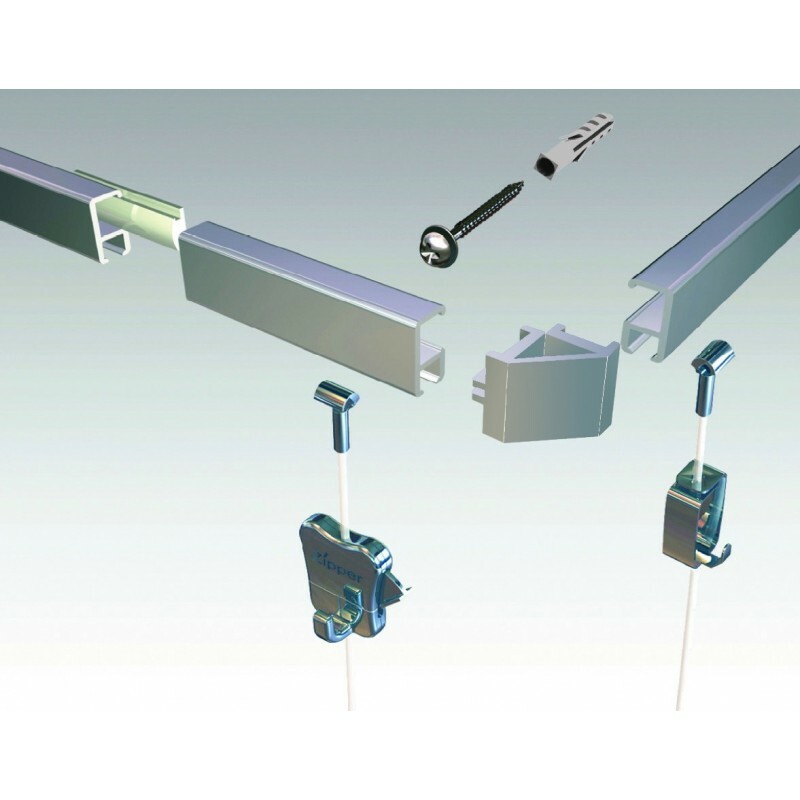 Lastly, you slide the picture hooks into the suspended cables to hang pictures on it. 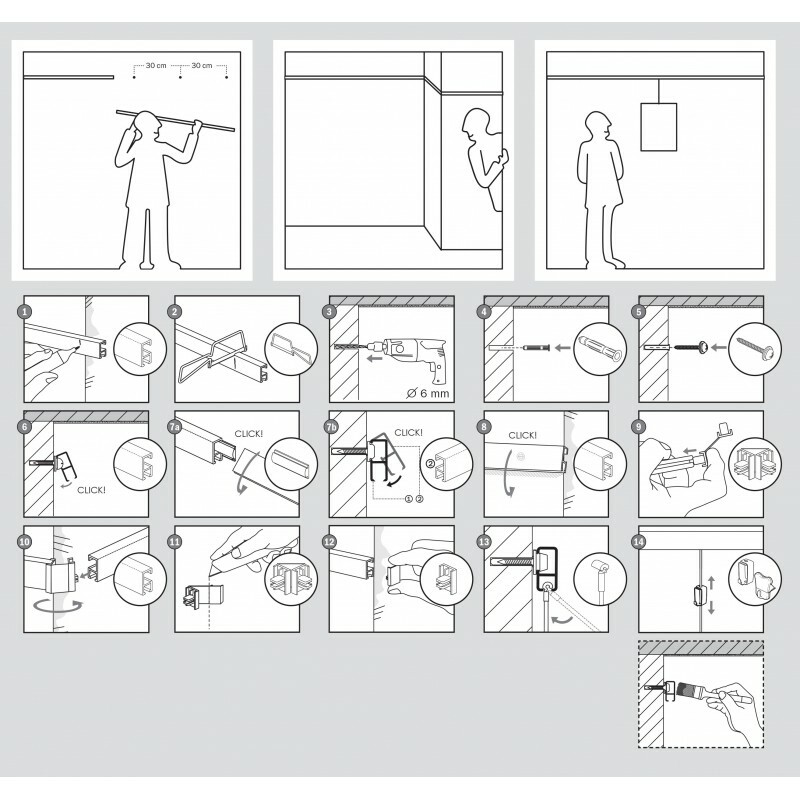 With this system, you can hang pictures one above other or move picture left to right by sliding the picture hanging hooks or picture hanging cables.